Ensuring the optimized pages of your website are stored in the proper search engine decks is the primary goal of on-page optimization. This practice is integral to SEO and can ultimately impact how well your website ranks in the search results. Thoroughly optimizing your website requires more than just proper usage of keywords and phrases. On-page optimization is an extensive project that demands the skill-sets of many website professionals. These are five of the most important components of our website optimization services, however this is still only the beginning of the SEO process. Off-page optimization can in fact have more of an influence to search engine algorithms and determining the keyword rankings of webpages. SEO copywriting is the cornerstone to effective on-page optimization. SEO copywriters produce reader-focused content that naturally blends keywords into the copy. As a result, optimized pages will be indexed with significant keyword relevancy, and will primed for off-page optimization. Strong, optimized web copy will do more that generate search engine rankings. Quality SEO copywriting can provoke a quality user experience while influencing greater conversions, and not just click-throughs. 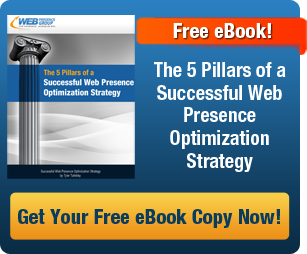 The overall architecture, or blueprints of your website, can have a momentous impact on SEO. In essence, this addresses the overall organization of your site’s optimized pages and how well those pages are connected. This planning process involves drawing out a well-optimized map of your website that strategically links together relevant pages. As a result, your pages will have strong keyword authority and heightened SEO potential. The internal linking structure of your pages is major element to the website optimization process. Optimized internal linking contributes to a better user experience, faster crawling and indexing, and potential ‘double stack’ listings in the search engine results. The manner in which internal links are built are also fundamental to on-page optimization. The use of keyword relevant anchor text (or link text) can result in greater performance in the search listings. Aspects of a website’s design are taken into great consideration during the on-page optimization process. The visible elements contribute immensely to a website’s overall appeal and conversion potential, in addition to the SEO potential of the site. Some of the components of web design optimization are the use of key structural elements, such as footers and navigation links, as well as text, graphics, images, and videos. Our web design services are centered on the best practices of usability and conversion optimization. Another powerful weapon in our website optimization arsenal is technical expertise. 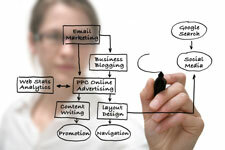 We offer skill-sets in SEO friendly coding, website programming, and application development. The back-end mark-up language of your web properties can have a heavy impact on search engine optimization. For this reason, we provide technical services in web development optimization. At the Web Presence Group, we advocate website optimization services as the back-bone to your company’s SEO strategy. As a professional website optimization company, we have the skills, experience, and resources to optimize your brand’s web presence and overall search engine potential. Let us know your online goals and we can help you achieve them using the best practices of organic SEO and on-page optimization.